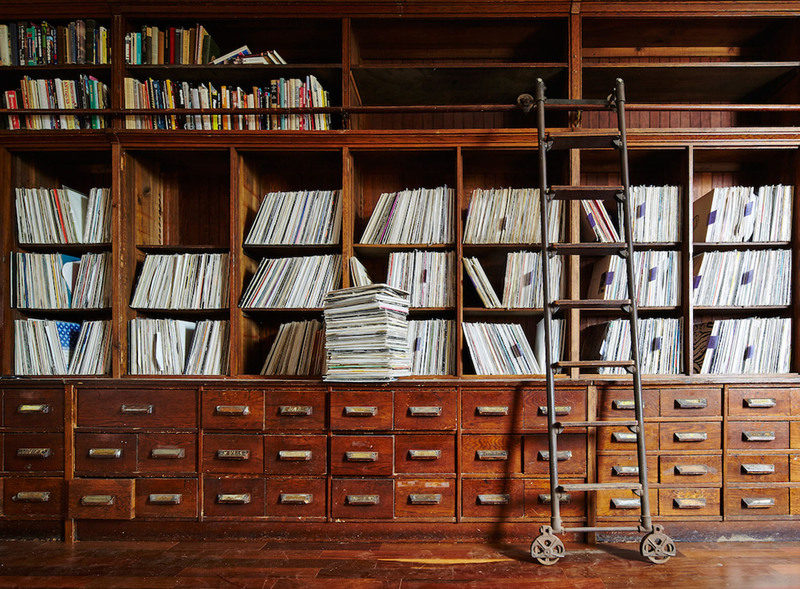 What happens when you fill bank vaults and offices with books and artwork instead of money? These pictures of the Stony Island Arts Bank in Chicago show a former bank now functioning as a vibrant destination for artists, scholars, curators and collectors. 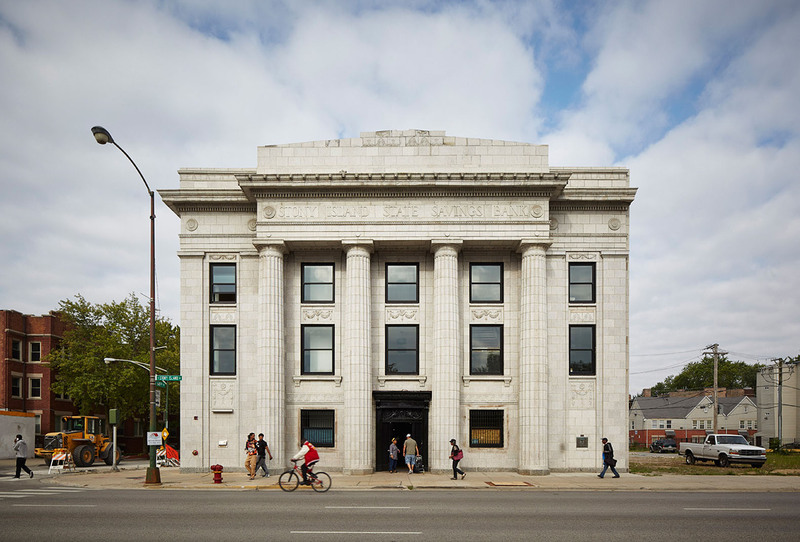 Renovated by non-profit Rebuild Foundation, the 1923 building is meant to function as a place where people can engage with South Side history. The 20,000-square-foot building was originally designed by William Gibbons Uffendell for a savings and loan banking institution. 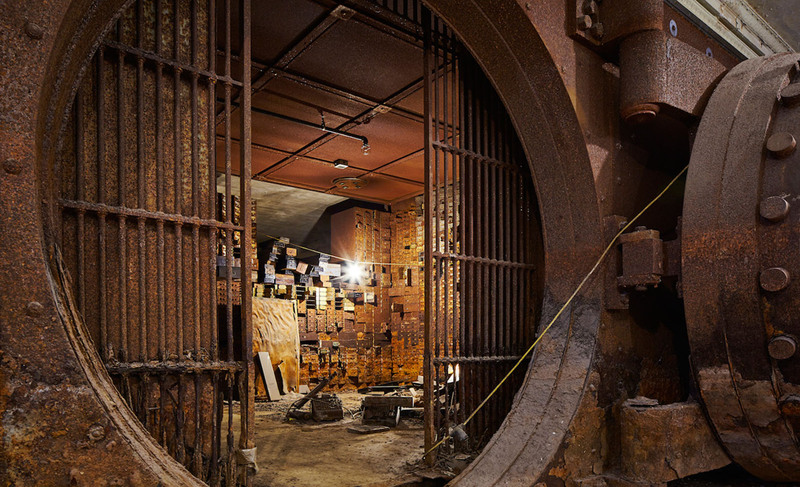 It has been closed for decades until artist Theaster Gates, founder of Rebuild Foundation, decided to restore it. He completely retrofitted the building and preserved some of the historical elements, such as the rusted vault and cracked plaster moldings. The 1923 building was converted into “a platform for site-specific commissions and exhibitions, a venue for artist and scholar residencies, and a home for Rebuild’s archives and collections”. The basement is meant to serve as a music venue, the ground floor as a bar and gallery space, while the second floor will be occupied by the Foundation’s library and community space. In fact, the entire building functions as a large living room for Chicago‘s creatives. The 20,000-square-foot building was originally designed by William Gibbons Uffendell for a savings and loan banking institution. It was closed for decades until artist Theaster Gates, founder of Rebuild Foundation, decided to restore it. Gates completely retrofitted the building and preserved some of the historical elements, such as the rusted vault and cracked plaster moldings. The 1923 building was converted into "a platform for site-specific commissions and exhibitions, a venue for artist and scholar residencies, and a home for Rebuild's archives and collections". The initiative to restore the building had a grassroots approach-Gates acquired the funding through donations and by selling marble remnants from the site. Exemplifying the principles behind the theme of the Chicago Architecture Biennial, this former bank-turned-cultural center, opened this weekend, shows how dilapidating architecture can be redeemed through community engagement and arts. According to the non-profit, "the radically restored building will serve as a space for neighborhood residents to preserve, access, reimagine and share their heritage." The basement is meant to serve as a music venue, the ground floor as a bar and gallery space, while the second floor will be occupied by the Foundation's library and community space. In fact, the entire building functions as a large living room for Chicago's creatives.